Some time ago, I made my first solo beer. It was a landmark moment for me, because at the point I realised: this is what I need to be doing. 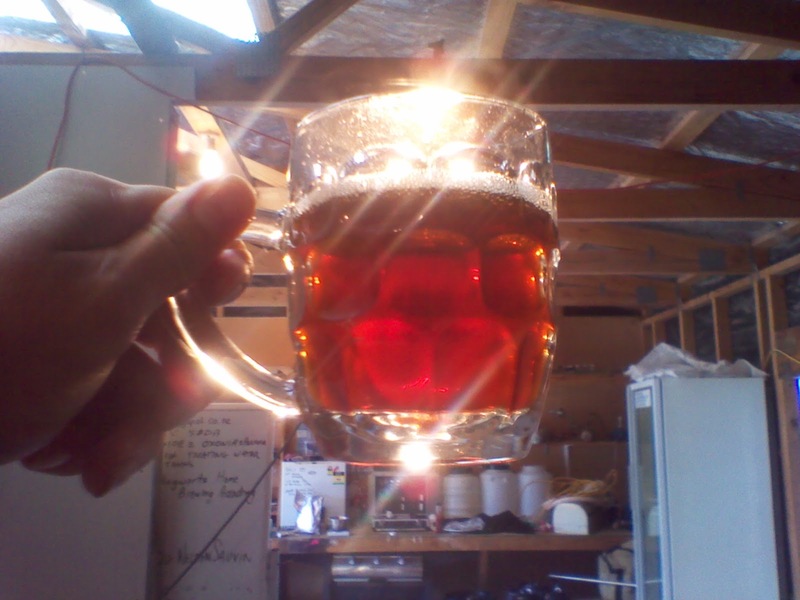 I call it the Electra and it is a red ale. I was really quite excited when I made it, and it took all my self control not to run to my laptop and blog about it. The only thing that stopped me was a niggling doubt that it might not turn out well, in which case the fewer people who knew anything about it, the better. 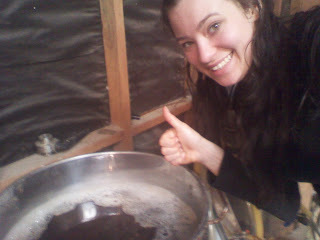 So I waited until it was done fermenting, at which point I knew the beer was good. Then I waited until it went on tap, and then I waited some more, until the keg was all finished. I really didn't want to be premature in my self-congratulations. After all, the Electra could have been a dismal failure. It could have crashed and burned, like Earharts Model 10. I'm quite happy to announce that in fact the Electra only needs some minor tweaking before it will entirely meet with my approval. This was the colour of the wort during run-off. It was somewhere around that moment that I decided I was keen to turn my brewing hobby into a legitimate job. I haven't had an actual proper job since I finished at University and started looking for gainful employment - sure I tried a few things out, but nothing really got me fired up enough to stick with it, and I'm not the kind of person who is greatly motivated to work a job I hate just for money. My brain asks me uncomfortable questions, such as: what is money anyway? And then it comes back with uncomfortable answers: money is an agreement that we made to make trading easier. It has no real inherent value. Sure, it can get you nice things, but if there was nothing to buy, then it would be meaningless. Little tokens, bits of paper, plastic and metal. No. I need to get paid to do something I truly enjoy doing, or I quickly lose the will to live. And boy do I enjoy making delicious beer. Yes, that was the moment. Something of the magical or miraculous happens during the brewing process. Of course, you can explain it with science, but that doesn't rob it of its awesome. From left to right: The Heisenberg Uncertainty Lager, Kolsch and The Electra. I probably should have taken a photo BEFORE I started drinking it, but then I have very little self control. In honour of The Electra's inaugural drinking session, I was asked to man the Bar.